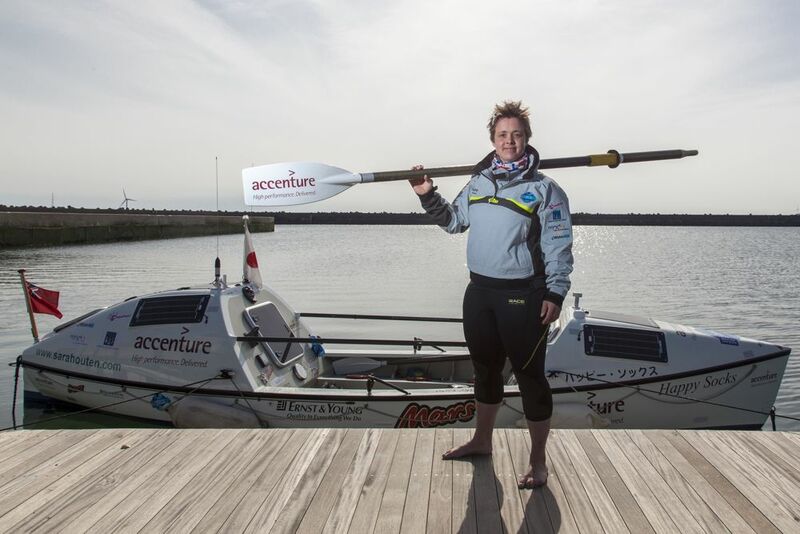 Sarah is currently on her record-breaking solo row across the North Pacific Ocean from Japan to Canada. As spare time is limited, she is posting all her updates on the main L2L blog. There is tonnes of info there about day-to-day life out on the ocean, the wildlife she sees and how she copes thousands of miles out at sea. There are also phonecasts available to listen to. 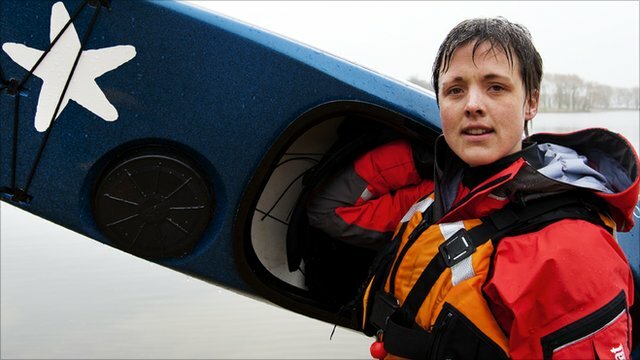 However, if you have a specific question or would like to arrange a live chat with Sarah, please do get in touch as she’d love to hear from you – hello@sarahouten.com. One year ago I set out from Japan in a rowing boat called Gulliver. My goal was to row across the Pacific Ocean to Canada. Gulliver and I were caught in a massive storm after one month and I had to be rescued. Gulliver was left at sea. We still hope that one day we may get a call from someone, somewhere, saying that they have found my little blue boat. I went home to the UK to recover and made a plan to start my adventure again. After all, a setback is not a good reason to give up. It took a lot of hard work and support from lots of people but we did it. My new boat is called Happy Socks. She is 7 metres long and has a cabin for sleeping in and another for storing supplies. She is in Choshi, on the coast of Japan, packed and ready to go with everything I might possibly need to survive six months at sea. This is how long I think it will take to row from Japan to Canada. Six months of rowing means six months full of adventures and stories from the ocean – tales of what it`s like to live in a tiny boat, how I live and sleep and eat at sea, what it`s like during a storm and all sorts of meetings with ocean wildlife. A little while ago we set a competition for L2L Primary Schools to design me a ‘Recipe for Adventure’ – dreaming up a tasty meal that would give me of all the different food groups that I need for adventuring. London2London HQ received some excellent entries and I have just spent some time getting very hungry and excited at the thought of trying some of the recipes. 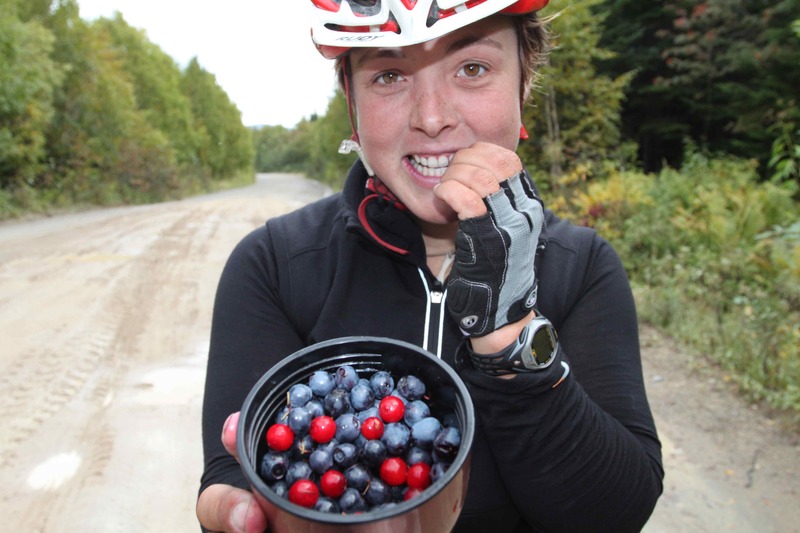 Everyone has been spot on in thinking about the food groups I need when I am cycling, or kayaking or rowing – so we have lots of protein for helping me rebuild my muscles, carbohydrates and sugars for giving me energy, vitamins for keeping my skin and gums healthy and all washed down with plenty of water to keep me hydrated. My favourite entries came from English Martyrs School in Oakham and Mr Kirkland’s Class at Manor School in Didcot. Both schools will receive L2L stickers and some adventuring books, including ‘The Boy who Biked the World’ by Alistair Humprheys and my book ‘ A Dip in the Ocean’. As well as that, I shall be visiting both schools to tell them all about my adventures so far and what treats and surprises I have eaten on the way. Happy summer holidays to everyone who is on them already or about to start. Make sure you pack in some adventures! I’m chuffed to bits to have been featured on the BBC’s Newsround this week – it’s always been a dream of mine to be on the show! Just in case you missed it, why not check out the website to watch the film. 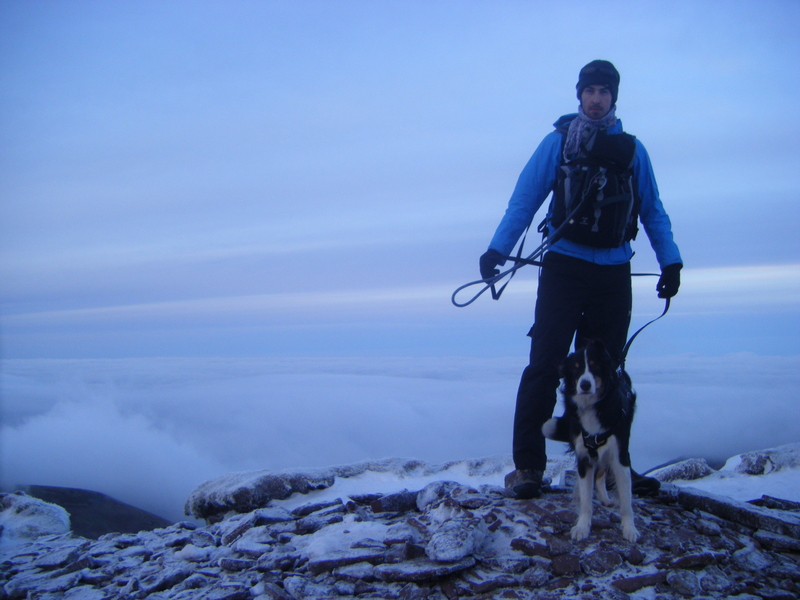 Preparation has involved all sorts of things – testing safety equipment and the clever satellite phones that will allow me to talk to people anywhere in the world from the middle of the ocean… and lots of physical training to prepare my mind and body for the challenge. It will be very tough at times and my body will need to work hard day after day, month after month to row Gulliver and I across thousands of miles of ocean to the other side. My muscles need to be healthy and strong and my mind needs to be even stronger. The training I have been doing in my rowing boat and on the rowing machine made me think about all the changes that happen in my body when we exercise. We’re talking muscles, blood, lungs and that very special organ which keeps us alive – our heart… I find these science bits interesting, and so I thought I would make a little video to share with you. It fits perfectly with Lesson 5/Activity 8. Meanwhile, I have some final preparations to do. 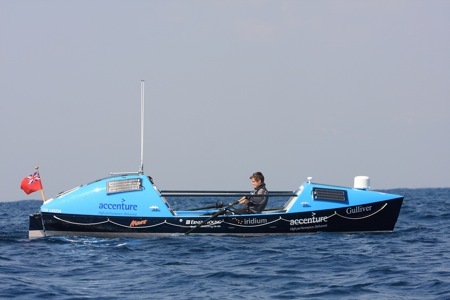 Coming soon – a blog explaining the challenge ahead and how to live on an ocean rowing boat. Stay tuned for a very exciting adventure and please cross your fingers for lots of wonderful wildlife visitors! I have been in Japan for nearly three months – a wonderful country of islands, on the edge of the Pacific Ocean. I am staying in Japan until April, when I shall start the next leg of my journey – rowing across that big chunk of blue to Canada. Before I came here I knew that lots of earthquakes happen here every year and that on March 11th 2011 the country was rocked by a massive earthquake and tsunami. Now, after a bit of research I understand why it is such a shaky place to live. Did you know that the surface of the earth is called the crust? And that the crust of our planet is a bit like a patchwork blanket that has been sewn together very loosely? 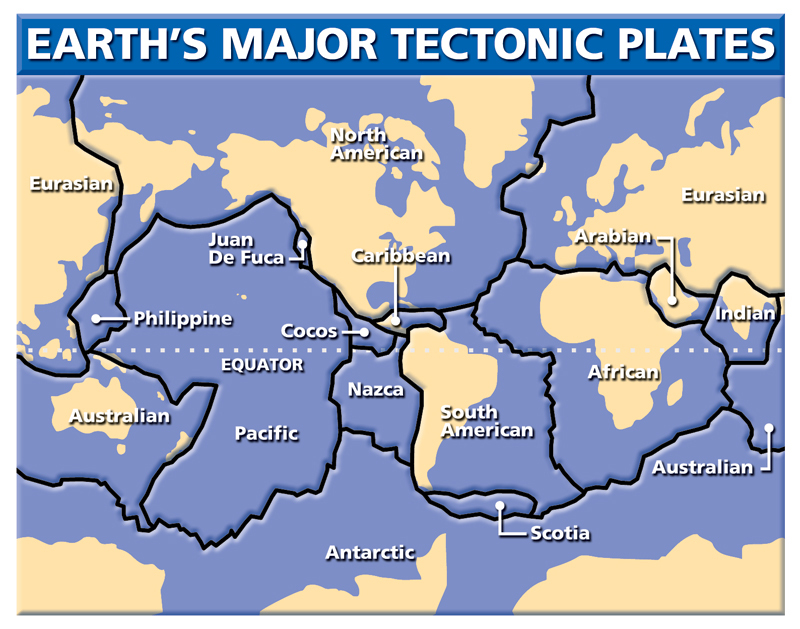 These patchwork pieces are called ‘tectonic plates’ and the place where two plates meet is called a plate boundary. In the same way that a group of children sitting together in assembly do not always sit quietly, the plates do not always sit still and instead push against, past or under or over each other at the edges. The force of the plates moving against each other is called friction. Earthquakes happen when the friction has built up so much that it causes the plates to move suddenly – literally jolting the land above it, sending out shockwaves through the earth in all directions. And that, my friends, is why the earth shakes in an earthquake. Countries that sit on plate boundaries will shake more than those who don’t. Japan is definitely a shaker, sometimes clocking up to 15,000 quakes and shakes a year. I have felt quite a few shakes since I have been here – the other day the whole house shook for nearly a minute while I was sitting doing my work! It felt quite strange. 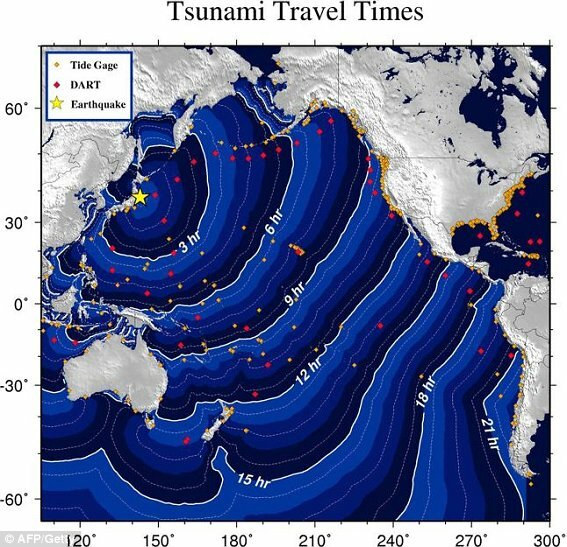 If that earthquake activity happens under the sea, the shockwaves that are sent out can cause a tsunami – a series of waves spreading out in all directions, which grow and grow as they reach shallower water, coming onshore as giant waves. Living with earthquakes and tsunami risks is normal for Japanese people – school children are taught how to stay safe in the event of a quake and buildings are built to withstand shaking. In coastal towns signs direct people where to go in the event of an earthquake – pointing up to higher ground to help people stay safe in case tsunami waves come onshore. Many of you will have heard about the tsunami in Japan last year – after an 8.9 magnitude earthquake happened very close to shore. The tsunami waves that rolled in reached heights of 30 metres in some places, sweeping thousands ofbuildings and people out to sea. The earthquake even caused the land to sink nearly one metre belowthe previous height in some places and left huge cracks in roads. 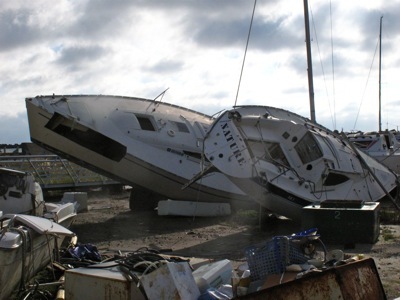 It caused devastation along 700 km of coastline in Japan and damaged areas on the other side of the Pacific too. The recovery process for the areas so badly damaged in the earthquake and tsunami lastMarch will take many, many years yet. I played a small part in the process just before Christmas, working on a very important project on the coast, joining in with a group working to help those people affected. It was very sad to see whole towns ruined and to meet people who had lost everything in the disaster – family, homes and livelihoods – and it reminded me just how powerful the forces are that shape, and shake, our world. One of the reasons I love expeditions is for the exciting wildlife encounters – I never know who or what I might meet on my way. Being on a bike or a boat means that I travel quite slowly and quietly too, which often means that animals don’t know I am there, giving me the perfect opportunity to observe them in their natural setting. While paddling my kayak Nelson down the coast of Sakhalin last week I was very excited to come across a brown bear, feeding on the beach, probably munching on seaweed that had been washed up during recent storms. It is early October, autumn, so the bears in this region are feeding up in preparation for a winter of hibernation, where they will sleep for three to five months to avoid the harsh cold. 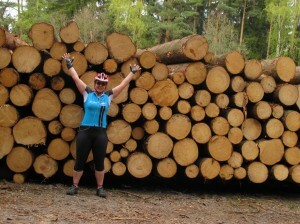 After all the miles I had cycled and pedalled since London, I think I would like to hibernate for the winter, too! Hibernation is an important survival tool for many mammals who live in very cold climates where there isn’t enough food available during the winter when deep snow covers the ground for many months at a time. Fattening up in the summer and autumn is vital, building up fat reserves to see them through the winter in the dens, which they dig into the hillsides or under trees. As the temperature drops and autumn rolls into winter, the bears head to their dens, lowering their heart rate and body temperatures so that their body uses less energy. After a few months of snoozing they wake in the spring, very hungry and ready for a big feed. 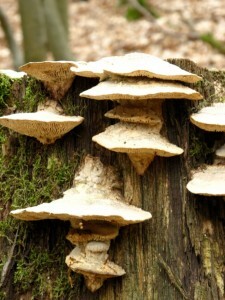 They may weigh less than half they did in the autumn. They are omnivores, which means they eat anything and everything they can – animal or plant. They will feed heavily on the spawning salmon as they swim up river and this is the only time that the brown bears congregate and tolerate each other – normally they are solitary, except for a mother with cubs. Once the fish have gone, they turn to feasting on berries and mushrooms in the forests and on seaweeds on the beach, depending on what is available. This young male wasn’t the only bear that I saw on Sakhalin, though it was the only close up encounter. It is certainly one of the most exciting wildlife watching moments I have ever had. Super super special . Bears aren’t the only mammals who hibernate – who else do you know that hibernates? What other strategies do animals and plants use to survive the winter months or other periods of extreme climate changes or food availability throughout the seasons? Think of birds migrating south from Europe to escape the cold or whales migrating huge distances to warmer waters to give birth. A Happy September to you and your classmates – I hope you had an adventurous summer and that you are now excited about rejoining my journey as I pedal, paddle and row back to London. We took a bit of a break here in the London2London Schools HQ but will soon be back in full swing, with some exciting new resources from our new partners at Digital Explorer. My journey from London has been full of adventures and pretty challenging so far. I have met all sorts of interesting creatures, travelled through some wonderful landscapes and seen things I would never have seen if I had stayed at home. At times it has been really tough. Super tough. 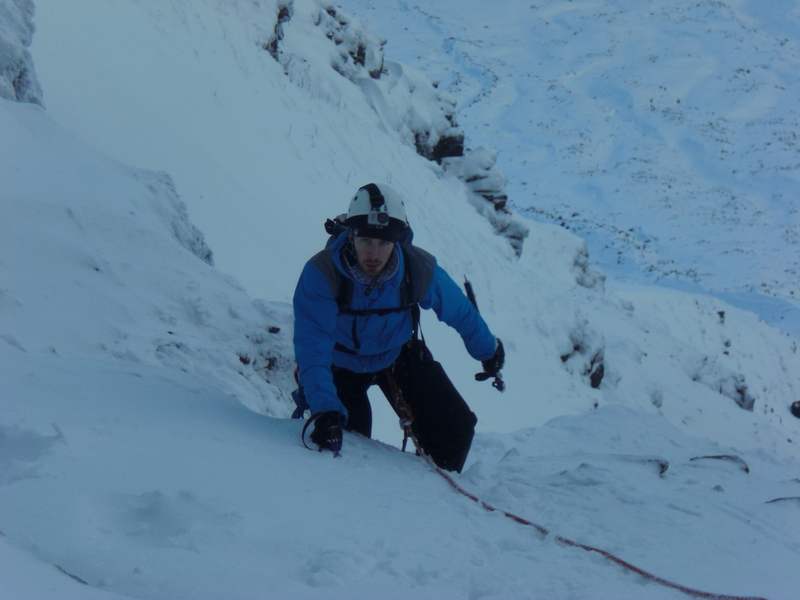 The sort of tough that makes you wish you were tucked up in bed with a hot chocolate, warm and dry and safe. Then again, don’t you think it is one of the best feelings in the world when you make it through a tricky patch and know that you have overcome the challenges? I think that sometimes these experiences turn out to be our richest memories when we look back at them later on. 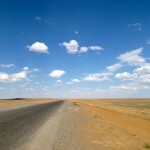 So I thought that I would write a little note on one such experience – the Gobi Desert. 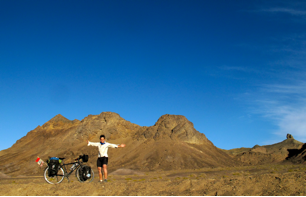 Cycling across part of the Gobi Desert in China was one of the hardest things I have ever done. I encountered the hottest temperatures I have ever encountered (at times 50 degrees centigrade), battled strong winds which blew me off my bike and pushed me backwards and at times struggled to find enough water. To keep myself going I looked out for interesting wildlife and tried to work out why the plants or animals were better at surviving in the desert than me. We humans are not designed to live in such places with very little water and extreme temperatures, but there are some animals and plants which are adapted to life in the dry. Two of the biggest challenges they face are the extreme temperatures (very hot in the day and very cold at night) and a lack of water, so they need to be good at capturing and storing food and water and also at regulating their temperatures. Plants have very long roots to absorb water from deep down in the soil and most animals are nocturnal. Overheating leads to damage of cells and tissues and not enough water means you end up drying out, neither of which are very desirable. 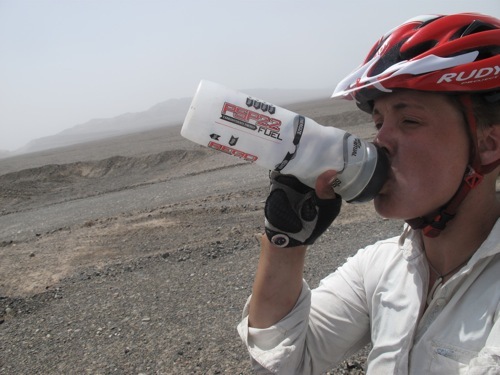 It is just the same for humans, so as well as all the things my body naturally does to keep me cool (such as sweating and expanding the width of my blood vessels so that warm blood gets out to the edge of my body so that it can cool down as quickly as possible) I had to change my behaviour so that I could survive the Gobi. This involved cycling at night when it was cooler and resting in the shade during the day. I wore a scarf to keep the sand out of my face I wore a long white shirt to reflect the sun away, plastering my exposed skin in sun cream. If I had spare water I soaked my shirt so that the evaporation would cool me down and I drank extra to replace the fluids lost by sweating, maybe ten or twelve litres a day. All in all, it was a mighty challenge and I came out the other side saluting the animals and plants that do live in the desert, for it is a super tough place to survive. 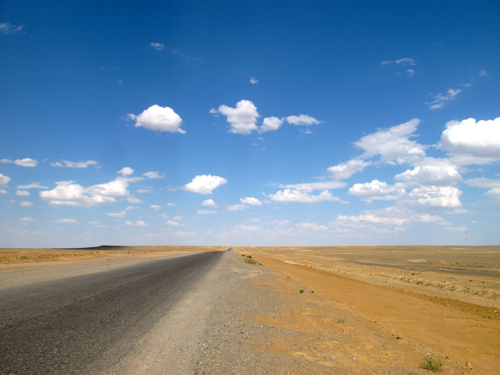 In the latest Education Blog, Sarah writes: “I cycled past Baikonur, a Russian city in the middle of the desert of south western Kazakhstan. 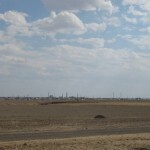 Yes that’s right – a Russian city in Kazakhstan! L ots of the countries in this part of the world used to be part of the Union of Soviet Socialist Republics (USSR) which was largely controlled by Russia. When it disbanded in 1991 Russia decided to keep this piece of land because of a very important event which happened here in April 1961. History was made as Yuri Gagarin launched the first ever manned mission to space. There is still a cosmodrome here, though it is set way back from the road and off limits to the likes of this dusty cyclist. 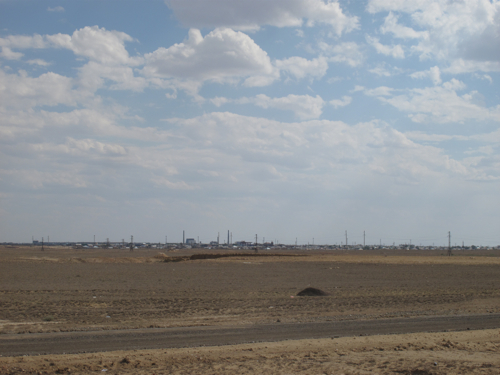 Even the city is closed to everyone without a pass, but from the road I could see blocks of flats which made it stand out from the Kazakh town of Toretam which lies next door. Looks like Sarah has stumbled across one of the most important places ever. Baikonur, as it’s now known, was the site that launched the first person into space, Yuri Gagarin, back in 1961 on April 12th. You can see on the map that now there is a ‘Gagarin Street’ and a ‘Gagarin Start’ (Gagarin Start is the launch pad that sent the first man into space). It’s a great place to have a launch pad for a rocket, because they get really really hot and really noisy. 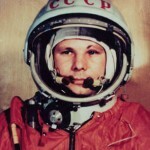 Yuri Gagarin was the third of four children and didn’t have an easy childhood. When he was young, he became very interested in space and the planets. 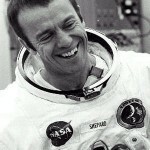 This interest sent him down a path to become the first person ever to go into outer space. He went to study at a school, and after a while, with lots of hard work, he was picked to do further training at a ‘technical high school’ and this is where he learned to fly planes. 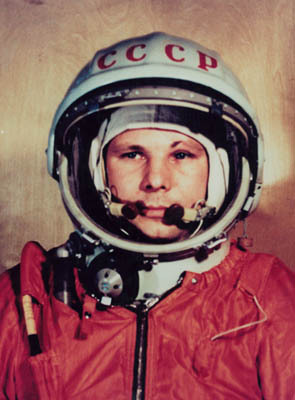 Yuri Gagarin grew up to be an officer in the Soviet Space Program along with 19 others; this was the Soviet’s bid to become the first country to send someone into space. Of course, other countries wanted to do this too. America was working on a rocket that would send people into space but their first person into space went up just 23 days after Gagarin on May 5th 1961. 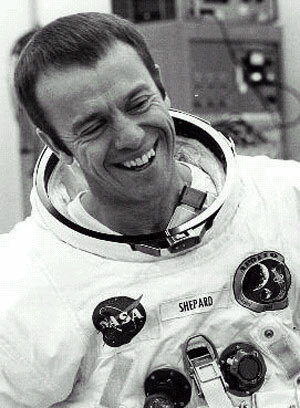 The American who became the second person in space was Alan Shepard. Both Yuri Gagarin and Alan Shepard were the two people at the front of the legendary ‘Sp ace Race’. This turned from a race to put people into space, to putting people on the Moon. The Americans and the Russians started competing to get someone onto the Moon. The Russians sent the first person into space, and they sent the first satellite up into space called Sputnik. Then they made the first Moon landing by crashing the unmanned Luna 2 spacecraft into the Moon. But it was the Americans who became the first to successfully send a person to the Moon and bring them home as well. The first person on the Moon was Neil Armstrong, followed closely by Buzz Aldrin. So the place that Sarah has recently cycled past was the beginning of the amazing events of the space race. With people being sent into outer space and then to the Moon, where next? Out of all the people in the world, only about 500 have ever been into space, and o nly 12 people have ever walked on the Moon. That’s all changing though. With new missions from the Chinese to send their people to the Moon, and plans from the Americans to build a Moon base to start sending men to Mars, we’re entering another time of great excitement and adventure. There’s still so much of the Earth left to explore though, and you don’t know what’s out there until you get out there like Sarah and see for yourself. Happy exploring! Remember you can ask Sarah anything you want at Ask Sarah or you can email me at education@sarahouten.com. Hi guys! 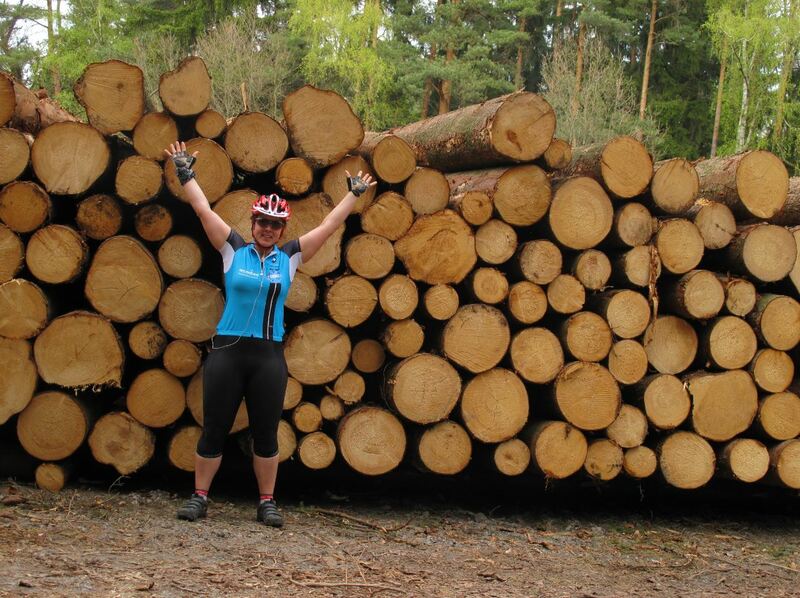 It looks like Sarah has been thinking about trees whilst cycling through the wild and wonderful forests of Germany, and she’s right! We really don’t give enough thought to trees and how they work and how they keep us alive. Sarah mentioned in the video that without them, we wouldn’t be able to breathe. Without plants, trees and algae, there wouldn’t be as much oxygen around us because they’re the ones that make it. 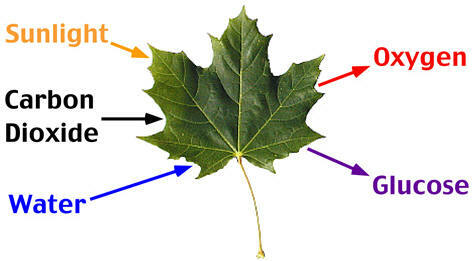 There’s something in plants called Chlorophyll, it gives them their green colour and lets them absorb sun light too. Also they take in water like us, and Carbon Dioxide too. They then create glucose which they use and oxygen which they breathe out. Tree’s and plants provide loads of the oxygen we breathe but around half of it comes from little phytoplankton that lives in the ocean. Sarah will encounter these later on in her epic voyage around the world. But we do use a lot of these trees for a lot of paper. Some paper companies will cut down trees for paper and then plant more. 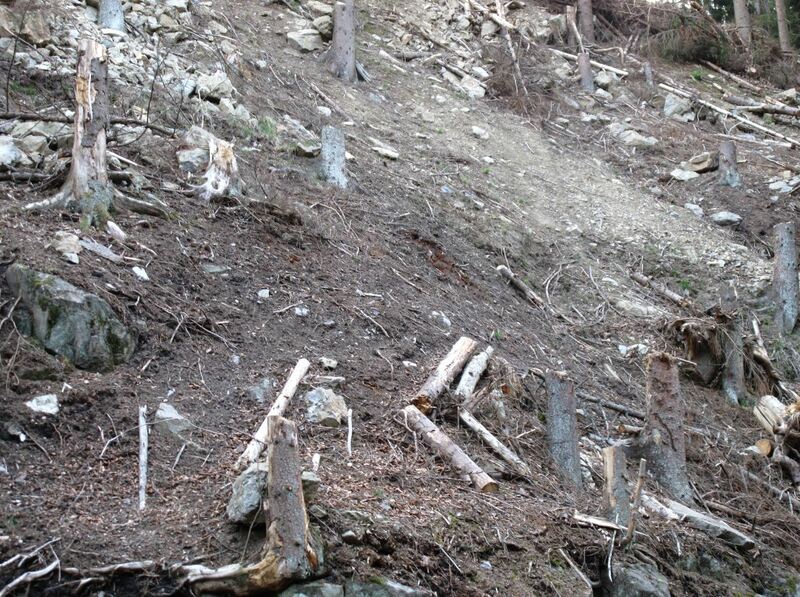 If managed correctly this can be a sustainable way for managing the trees that we use. Unfortunately we use a LOT of paper. 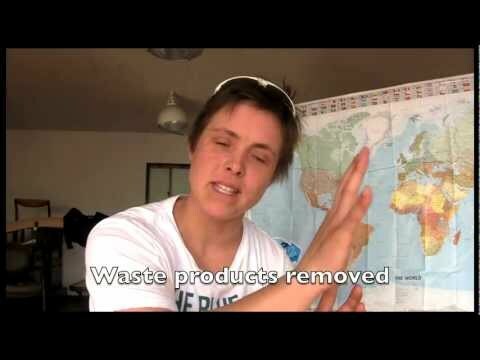 We should recycle the paper that we use. 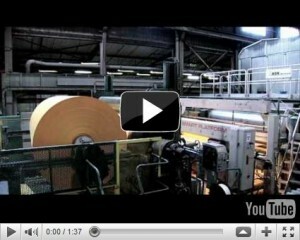 If we recycled all the newspapers that we print, we could save 250, 000, 000 (250 million) trees every year! Now wouldn’t that be cool. When we think of forests, we think of the forest in the local national park or maybe there’s one on a mountain near you. But at one time most of the world was covered in forests, today only about a quarter of the original forests throughout the world remain. This is because every year, humans cut down around 16, 000, 000 (16 million) hectares of forest, that’s over 15 million Rugby pitches! 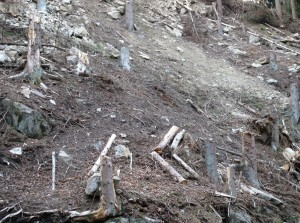 There is a lot of wildlife that live in the forests. Lots of plants, lots of types of fungi and animal, and they all have to find a new place to live, and sometimes they can’t. There are still lots and lots of different types of plants and animals though. So many that I don’t think anyone in the world could possibly remember them all! 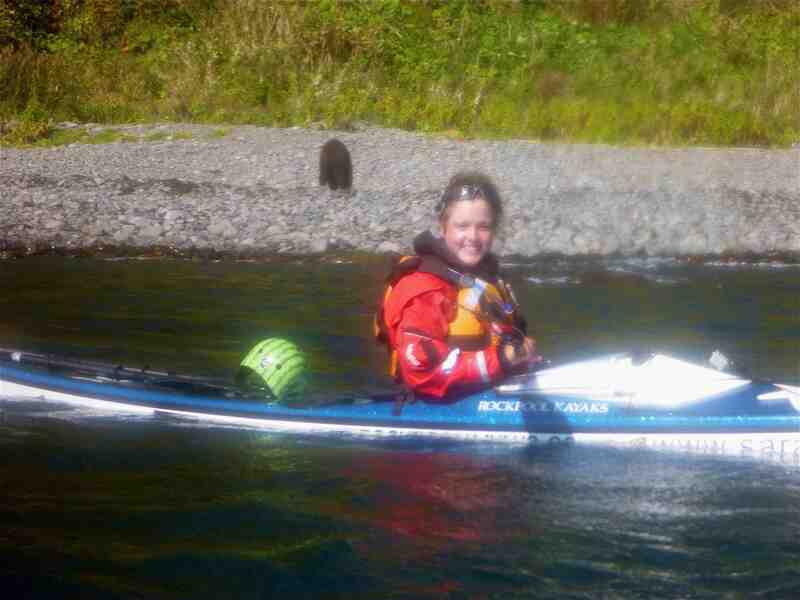 We’ll look at the wildlife and habitats that Sarah has encountered so far in the next Education Blog. Welcome to the first Education cast for the Sarah Outen: London 2 London expedition! Below you’ll find a conversation from Huw (the Education Chief) and Sarah, chatting about YOUR questions and life on the road…Enjoy. Don’t forget you can send questions to Sarah and the team on the ‘Ask Sarah’ page right here. 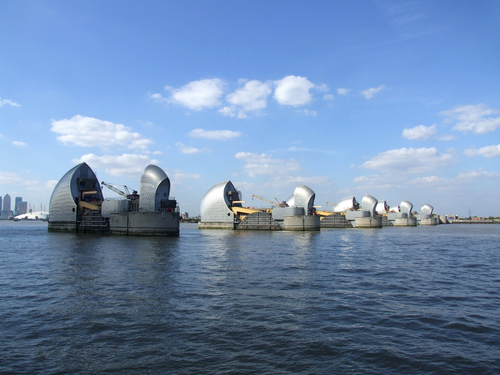 What is the Thames Barrier and How Does it Work? 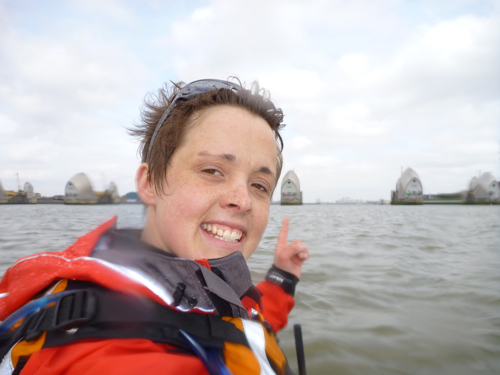 A great question that has come in to “Ask Sarah” is all about the Thames Barrier. What is it? And why is it there? Sarah and her team mate Justine had to paddle through it on their way down the Thames towards France at the start of the journey. The Thames Barrier is actually the World’s Second Largest Movable Flood Barrier. The only one bigger is in the Netherlands. It’s basically there to protect the people of London from really high tides and storm surges that move up from the English Channel. London is potentially at risk from these storm surges as they come in from the Atlantic Ocean. Then, just like when you place your finger over a hose pipe, the surge is funnelled down through the North Sea, narrows towards the English Channel and up into the Thames Estuary. Another potential danger is rising sea waters. As global warming heats the Earth and Sea Levels rise, this flood barrier will become more and more important to the residents of London. a combination of these rising sea levels and the fact that Britain is basically ‘falling over’ down south because of the after effects of the last ice age. All this means that the amount the barrier is used goes up and up! There were only 4 uses of the barrier in the 1980’s, then in the 1990’s it was closed 35 times and between 200 and 2010 it was closed 75 times! This engineering marvel is still an epic build of mankind but we’re already looking at a bigger and better one. 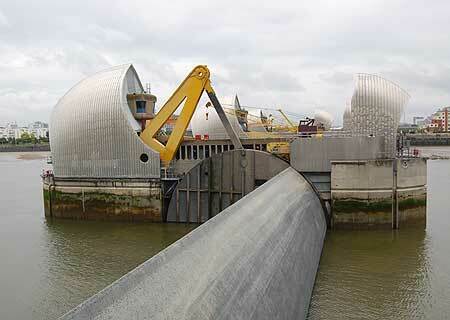 The Thames Barrier is a £1.3 Billion pound (by todays prices) 520 metre barrier that was opened in 1984. But the next one proposed could be one up to 10 miles long across a part of the Thames in Kent. Great question guys! Keep them coming in and Sarah, myself and the team will do our best to get through them! So, the first stage of Sarah’s epic adventure is the formidable English Channel! She will cross this to get into Europe and cycle across it. But it wasn’t so long ago and she would have been able to cycle the entire way! 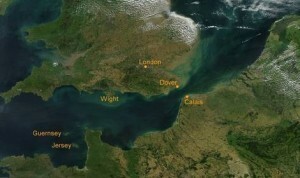 The English Channel is a really interesting part of Britain, with a fascinating history. The English Channel is part of the Atlantic Ocean. It varies in size, sometimes up to 240km! But across the strait of Dover, where you’d usually catch the ferry, its about 34km. It’s not overly deep either. On average its only 120m deep, and where Sarah’s crossing, it’s as shallow as 45m. That’s less than 10 double decker buses. Okay still pretty deep, but when you think that on average, the rest of the Atlantic Ocean is over 3300m deep, and the deepest known part of any ocean is nearly 11,000m deep (deep enough to fit 2195 double decker buses on top of each other), it’s actually like a tiny pond. It could well have been created up to 450,00 years ago by huge floods from glacial melt water. Now and then though with rising and falling sea level, sometimes it dries out. About 10,000 years ago when sea level was 120m lower than it is today, it was a dry piece of land with a river running through it. At that time, Britain was mostly covered in ice, and as the ice sheet melted, it escaped into the southern part of the North Sea and the English Channel. For a really small part of a really big ocean, it’s rather busy. The English Channnel is the busiest shippinglane in the entire world carrying over 500 ships every single day. Sarah is attempting to negotiate this 21 mile long, 45m deep traffic jam with only a Kayak. It’s the first part of a journey that will take her onto the European continent and around the world on an epic 2 and a half year adventure. The entire Earth has been created through similar processes and ones that can be a hundred times more fascinating and amazing. 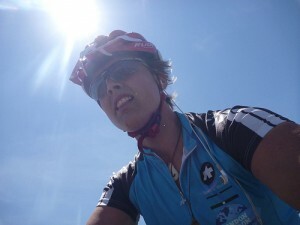 Make sure you check back at www.sarahouten.com for more information and see what Sarah is getting up to on her trip. Welcome to the Education Blog! Over the coming weeks, months, years, you’ll find all sorts of weird and wonderful things going on in Schools HQ. As Sarah travels rounds the world, her Education Chief, Huw James (that’s me), will be looking after this part of the expedition but Sarah will be keeping us all up to date and it’ll be jam packed with the stuff she’s up to around the globe! We have two clear messages here at Schools HQ. The first is…“Go try stuff”! We’re hoping that Sarah’s adventure will encourage more and more people to get out there and experience the wider world. An increased knowledge of our planet teamed with a sense of adventure and curiosity really does make for great people. Also, “Knowledge is pretty cool”! Without knowing about geography, nutrition, navigation, physics, meteorology, etc, Sarah wouldn’t even be able to get around the world. It’s our thought that these applied sciences are not only essential to the trip but they’re interesting too! So along the way we’re going to be looking at a load of these, along with the human history of places and the current effect humankind is having on the planet. So, starting off, over the next year you can check in here for a whole heap of videos, facts and information, activities to try out with your students/kids/parents/dogs, competitions to win stuff and a chance to ask Sarah questions about her trip. Cool, eh?